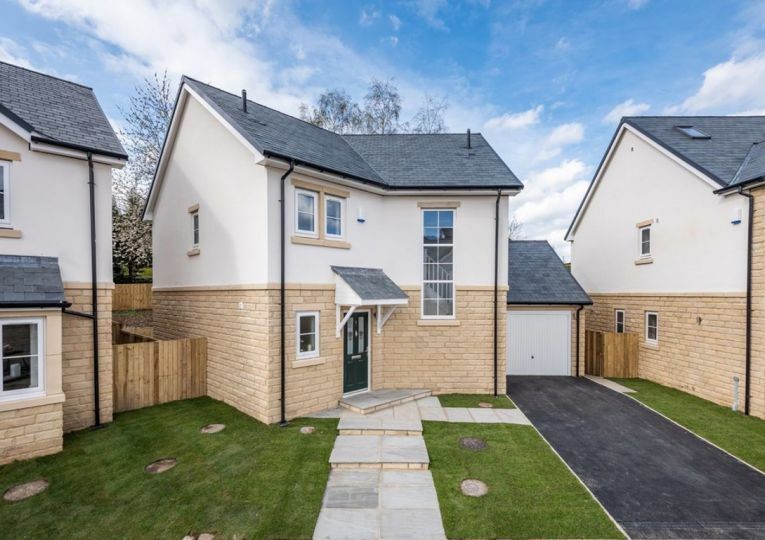 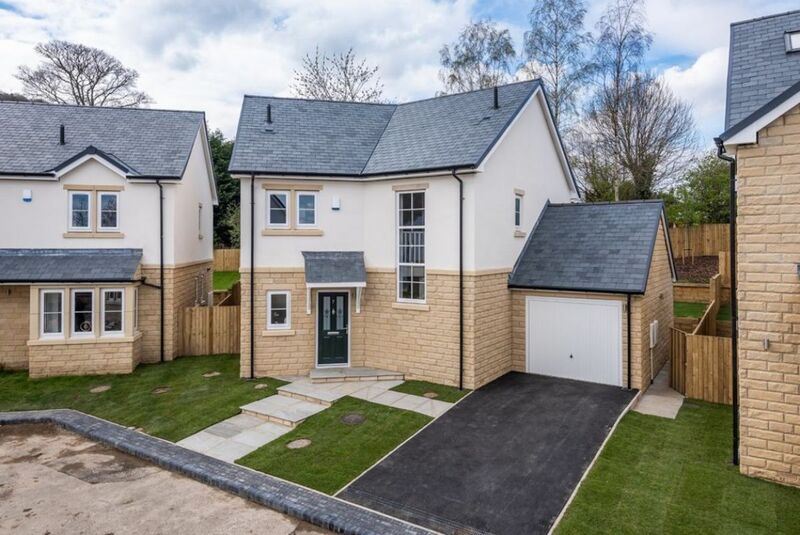 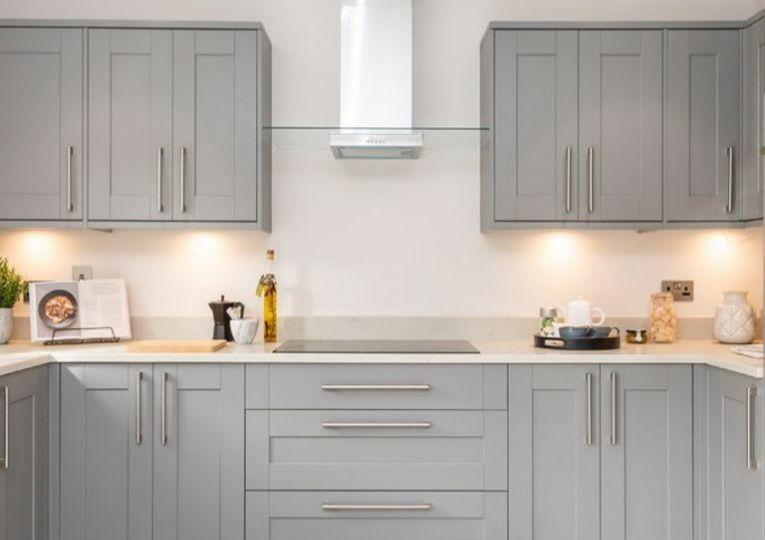 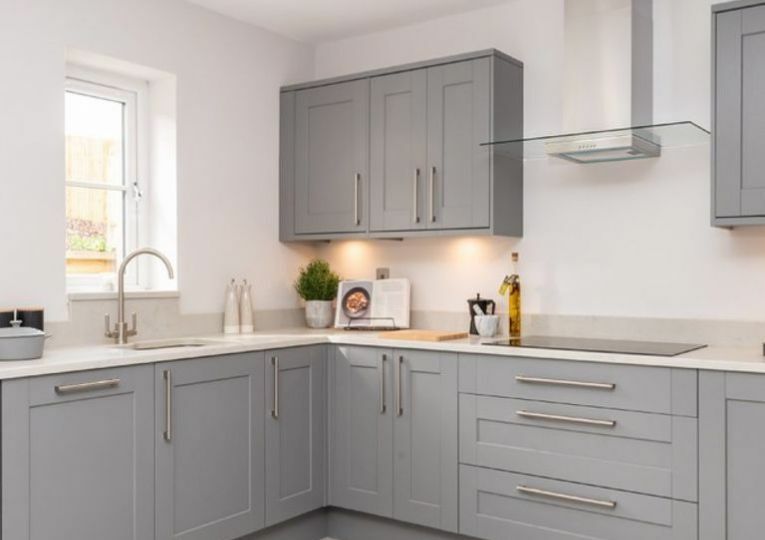 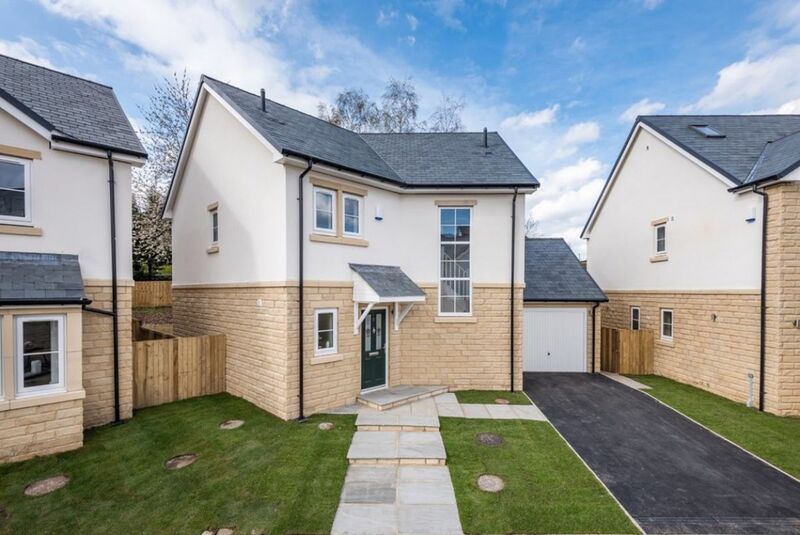 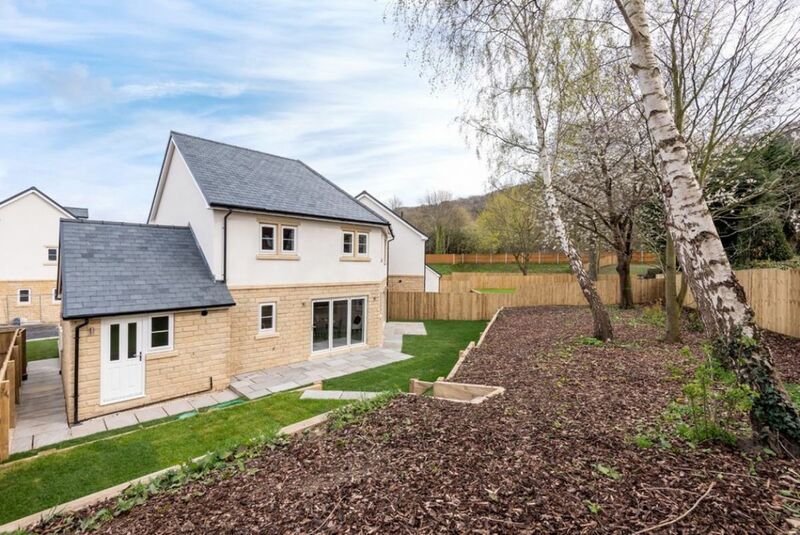 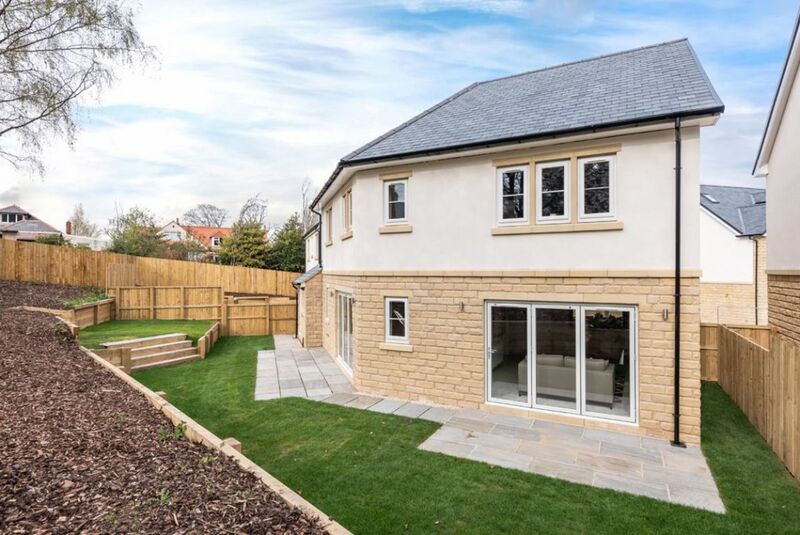 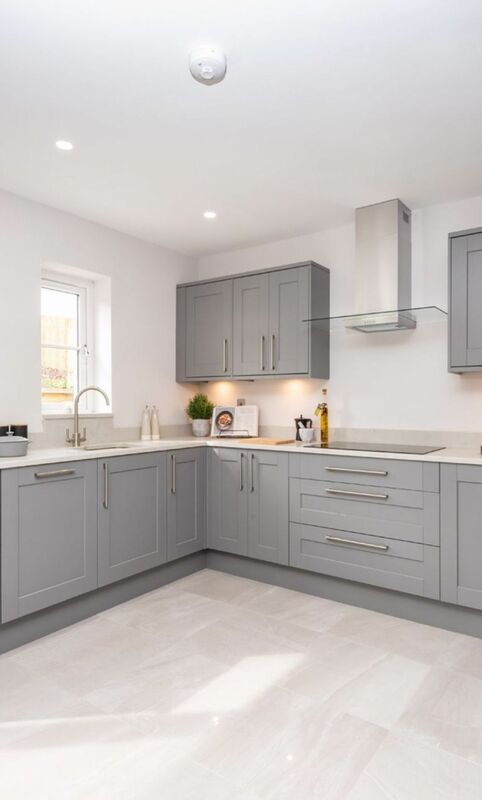 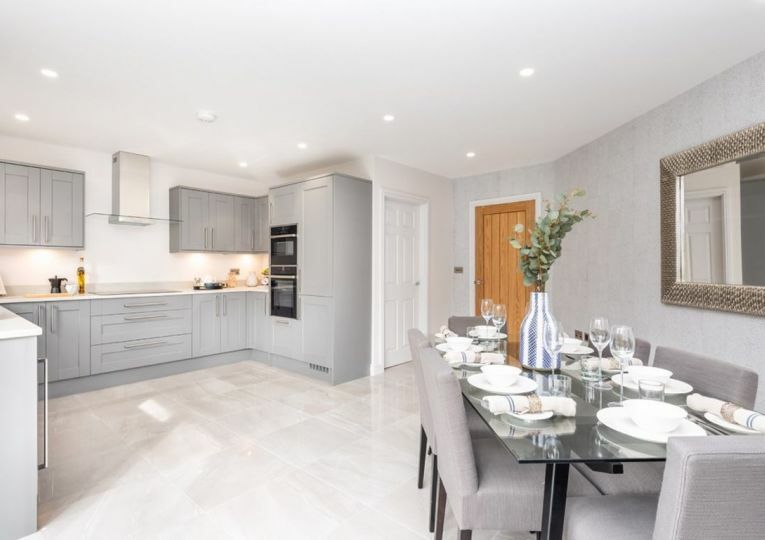 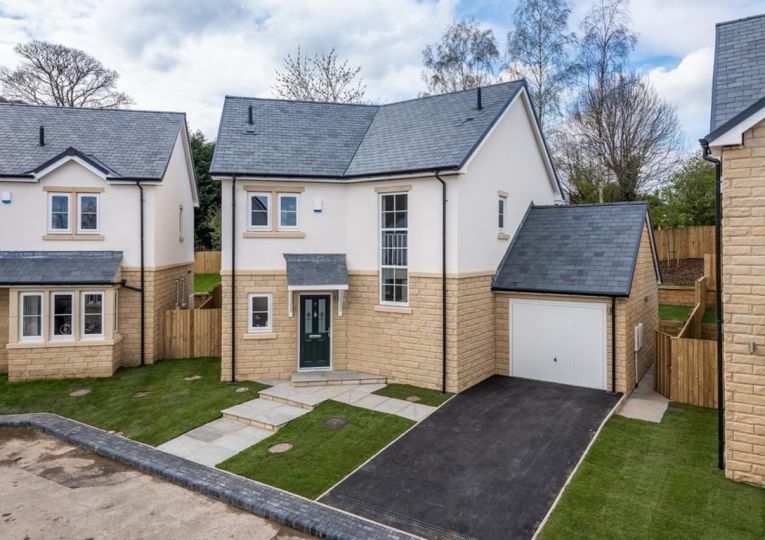 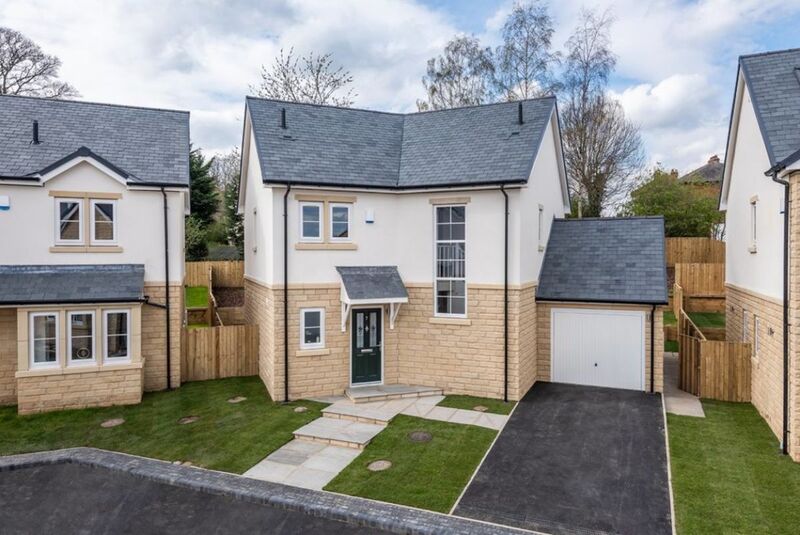 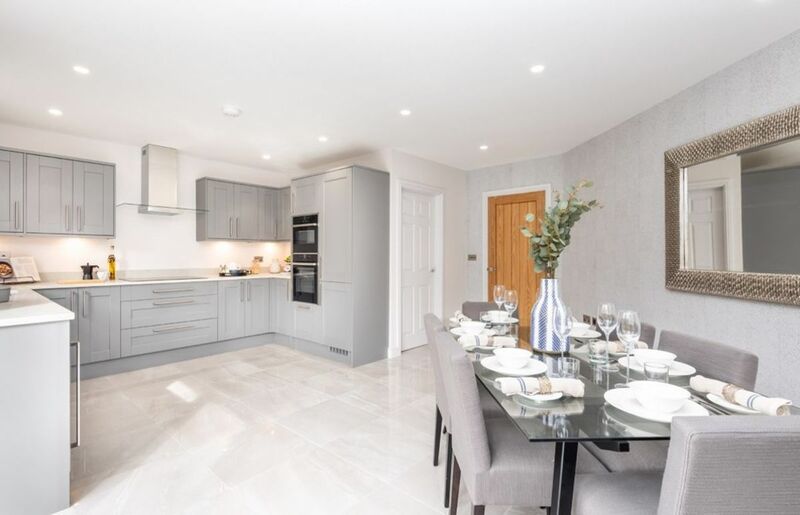 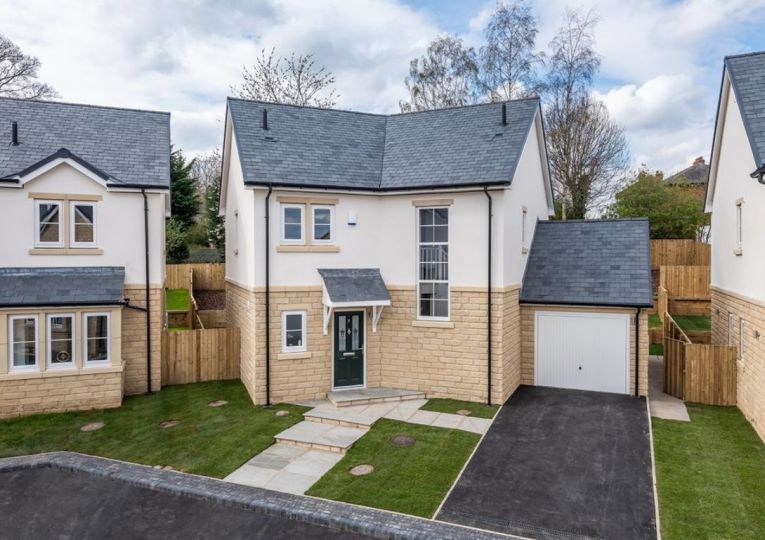 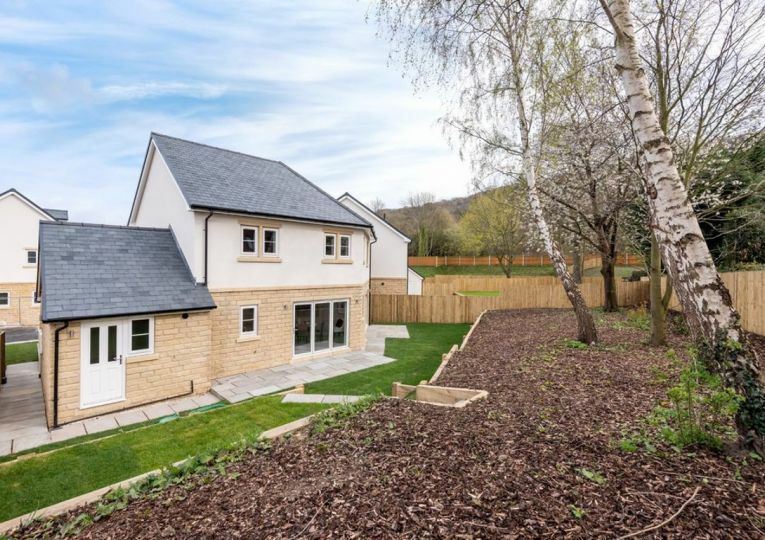 STUNNING 4 BEDROOM DETACHED SHOW HOME OPEN NOW OPEN FOR VIEWINGS 4 Bedroom detached house forming part of this small and exclusive development of only 9 executive designed properties. 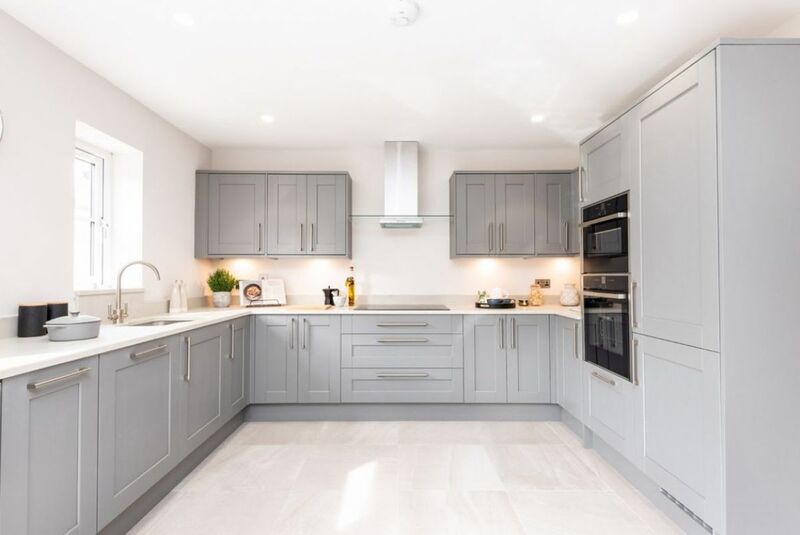 The Lewes, is a fine detached house, offering stunning accommodation over two floors, light and airy throughout and commences with a welcoming entrance hallway with a cloaks w.c off. 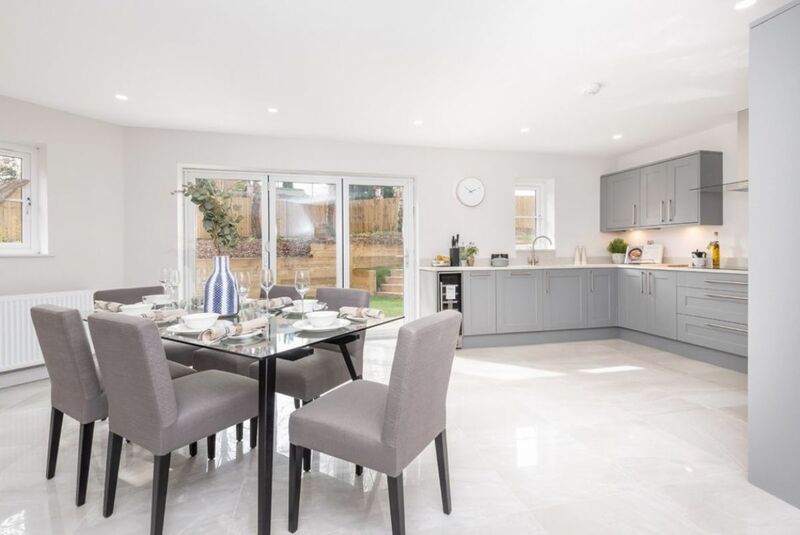 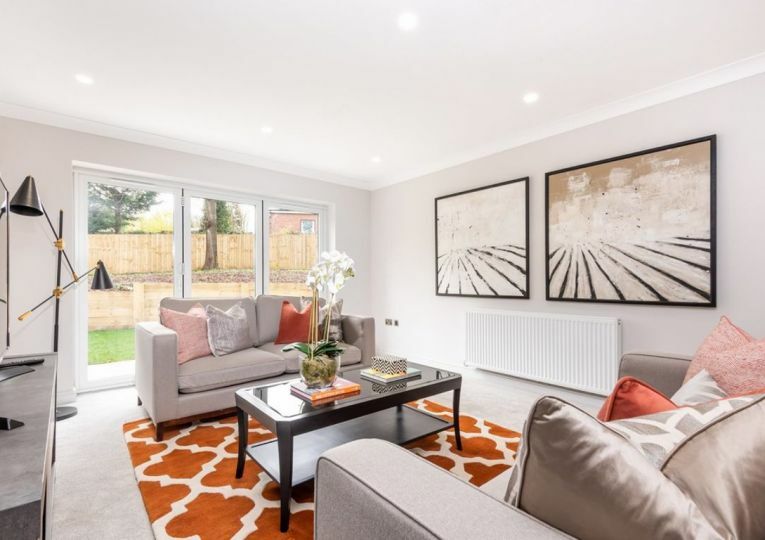 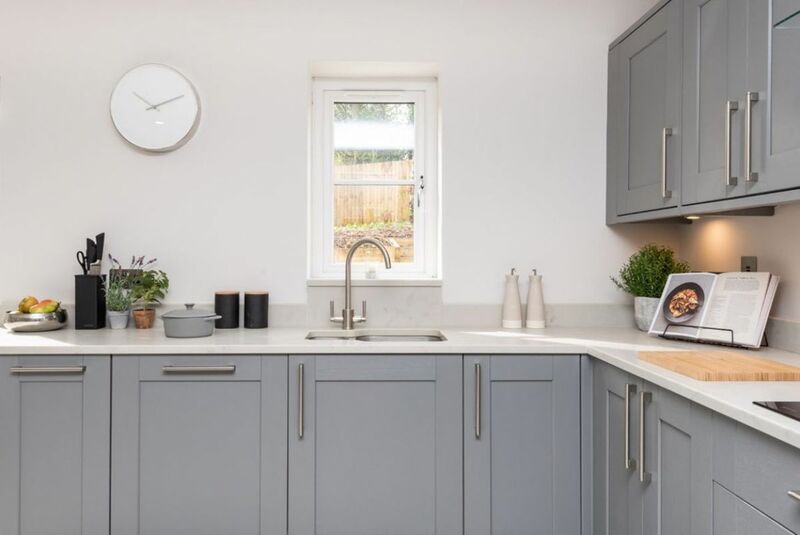 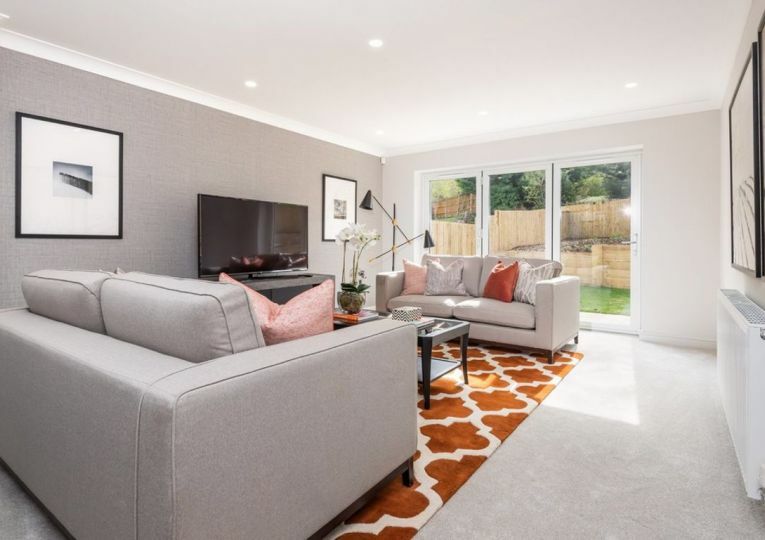 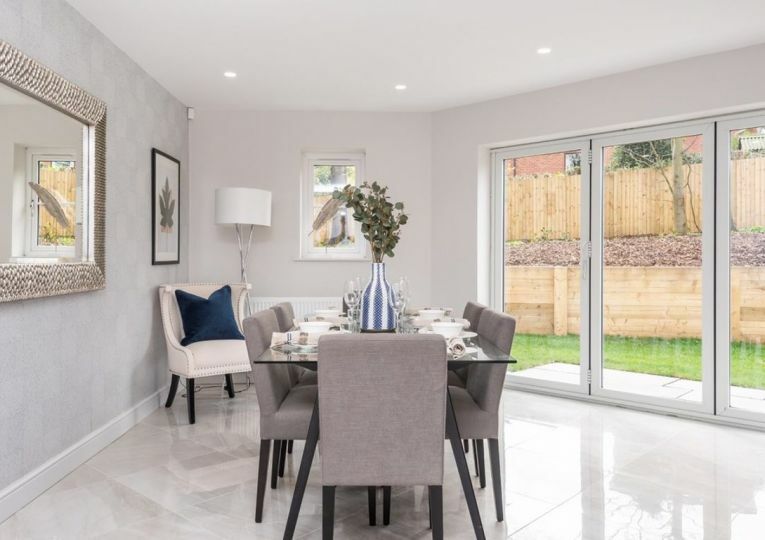 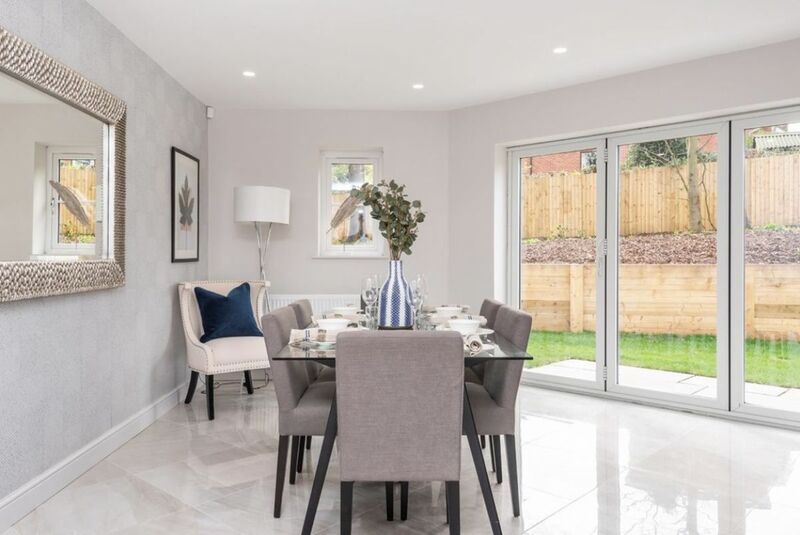 There is a sitting room with Bi-Folding doors to the rear garden and the simply stunning integrated dining kitchen of great proportions and once again with Bi-Folding doors to the rear garden. 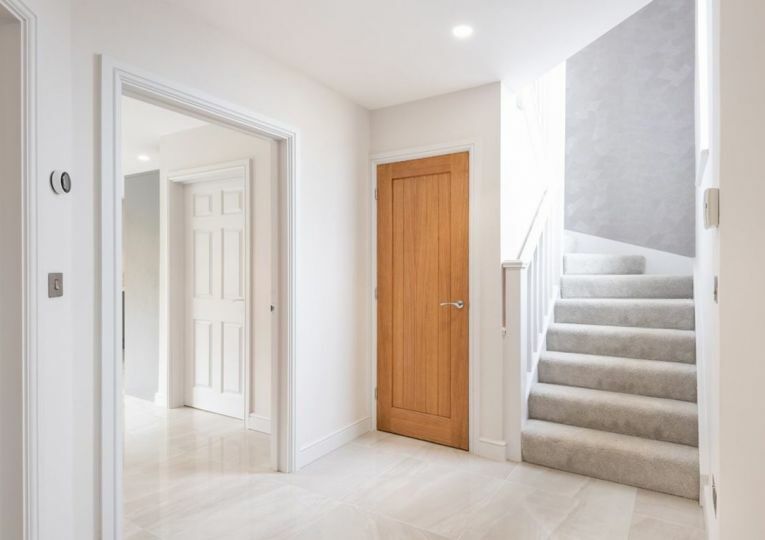 The ground floor is completed with a utility room that adjoins the garage. 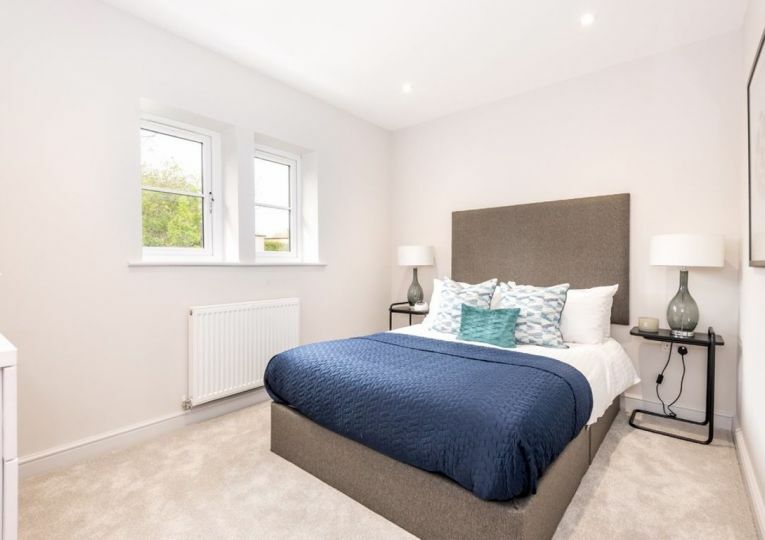 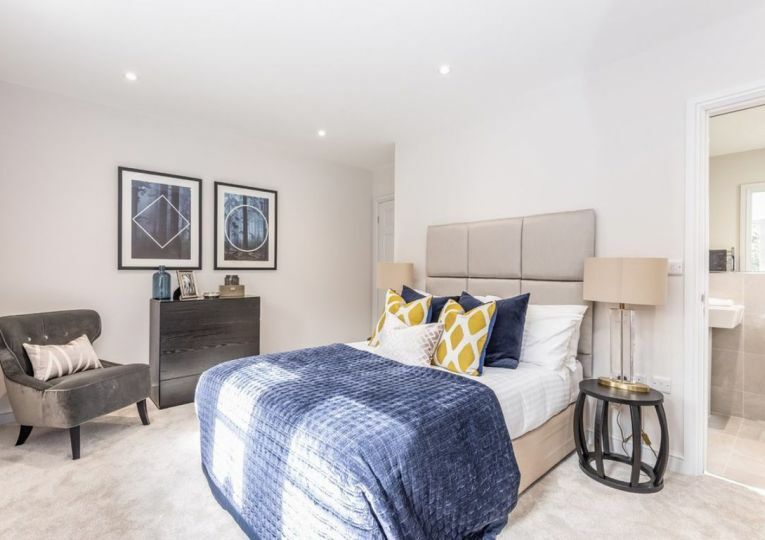 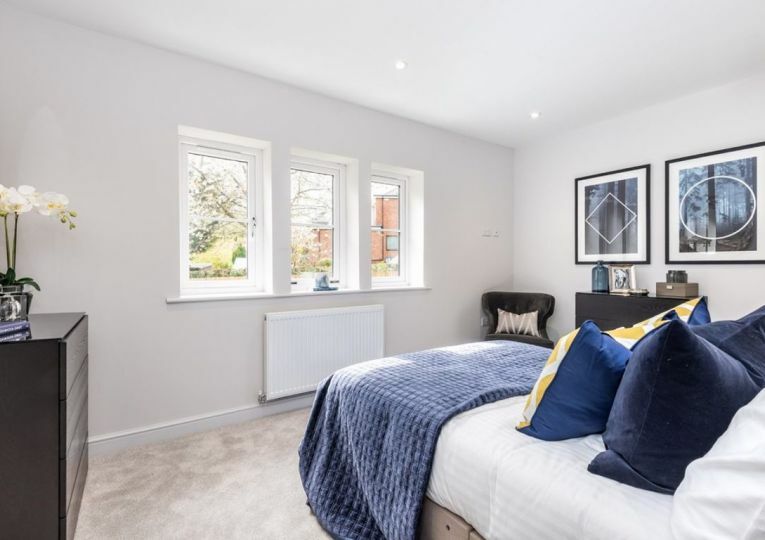 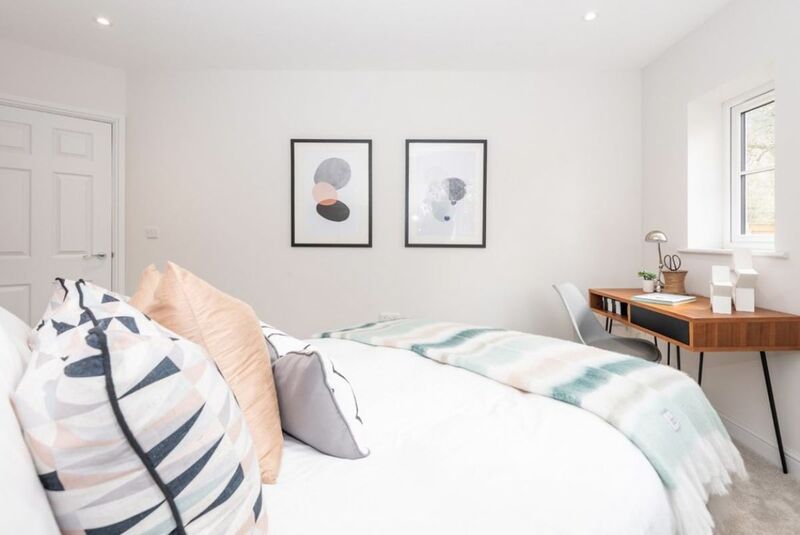 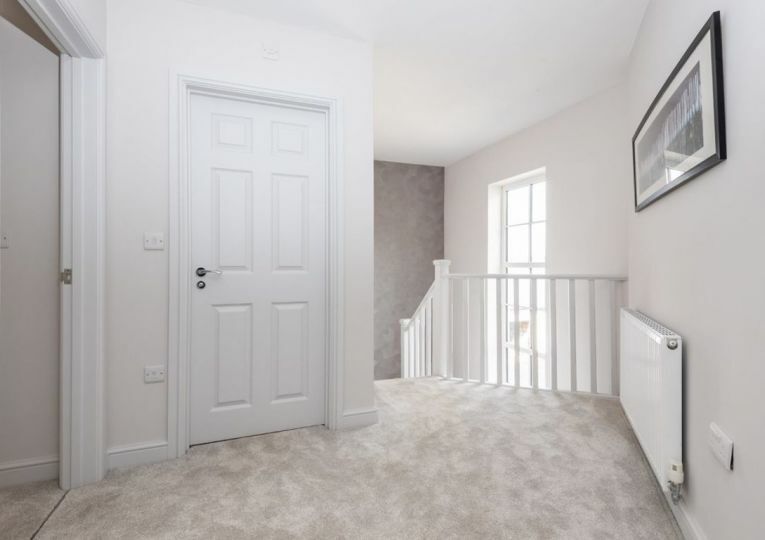 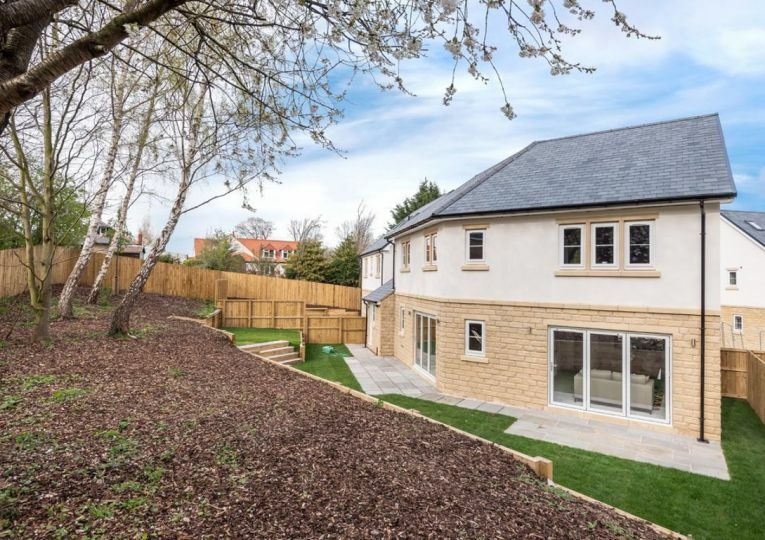 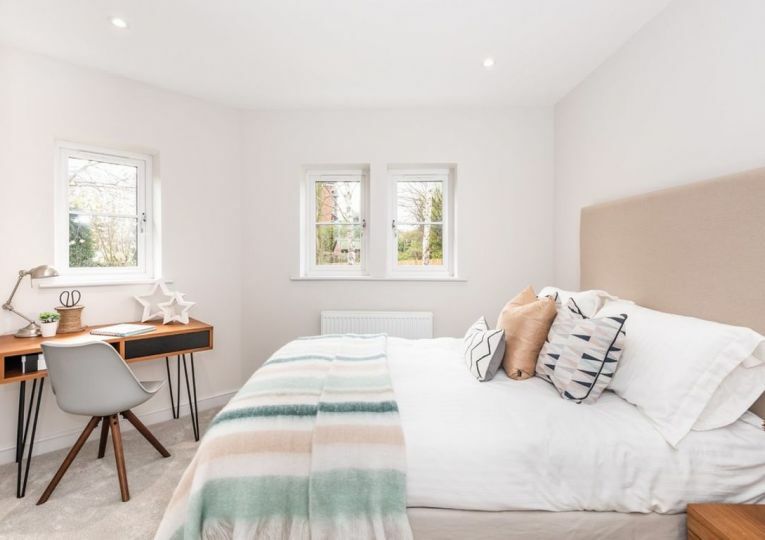 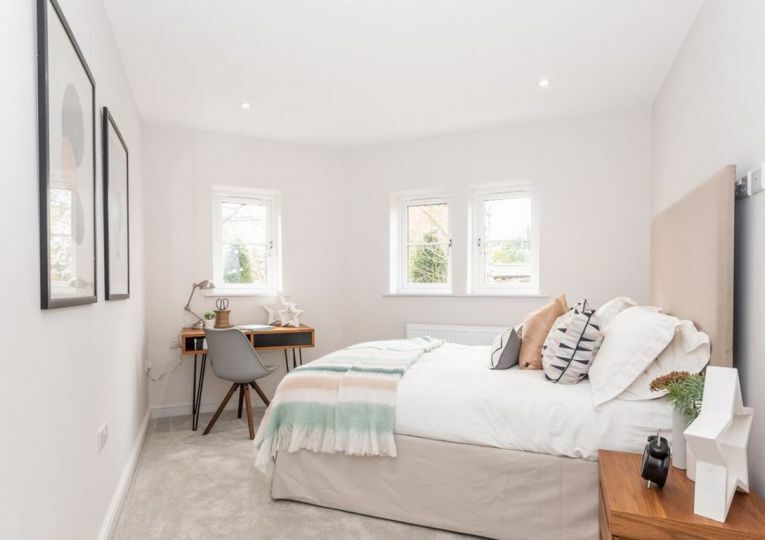 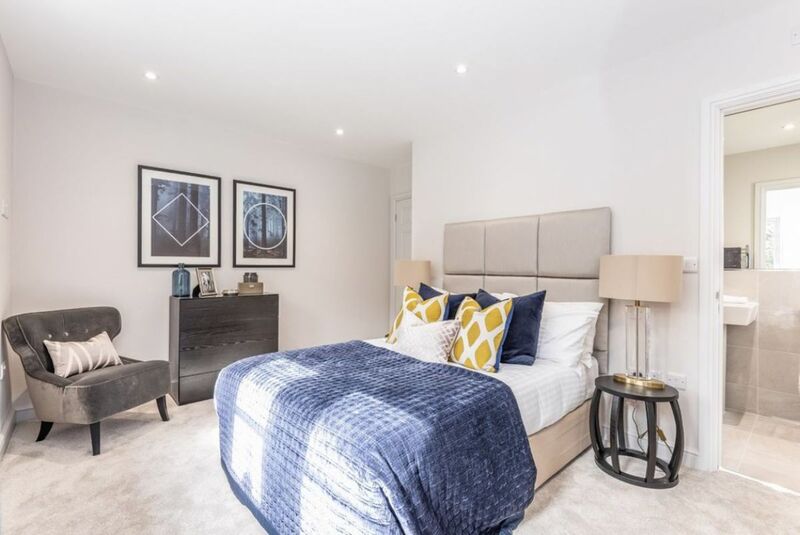 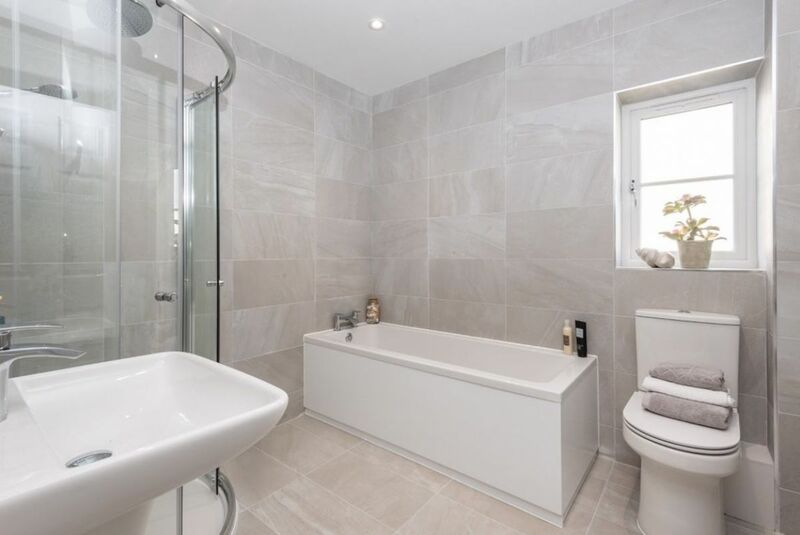 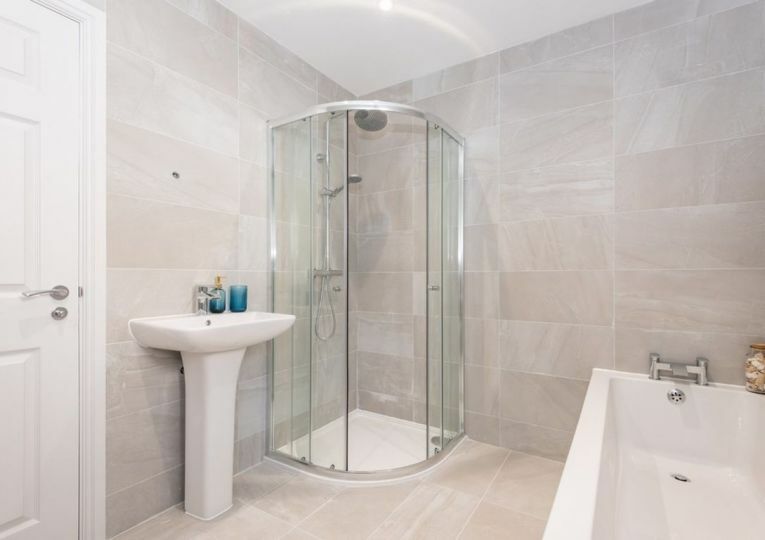 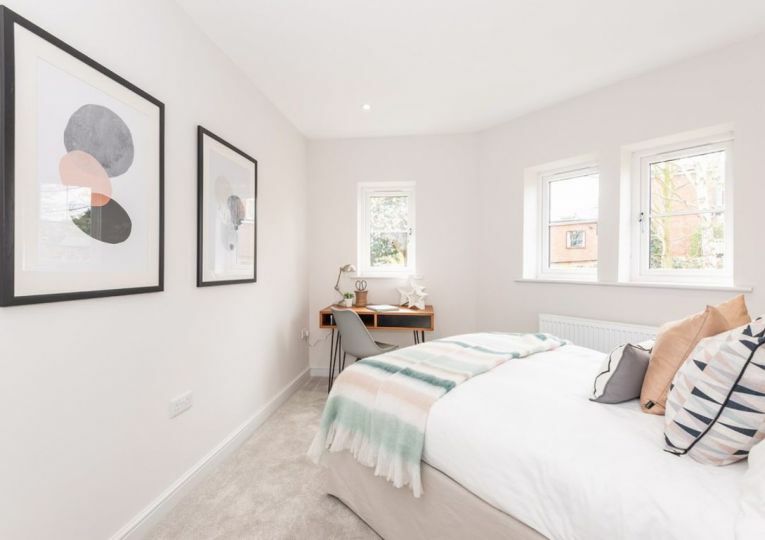 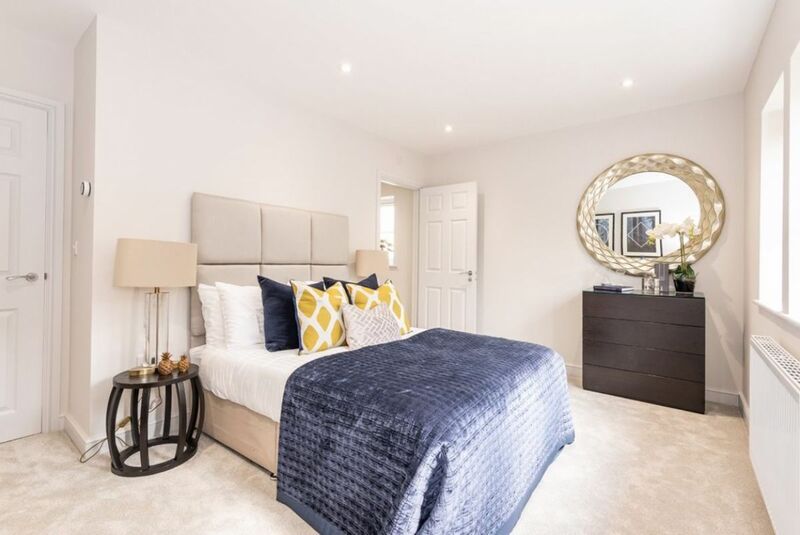 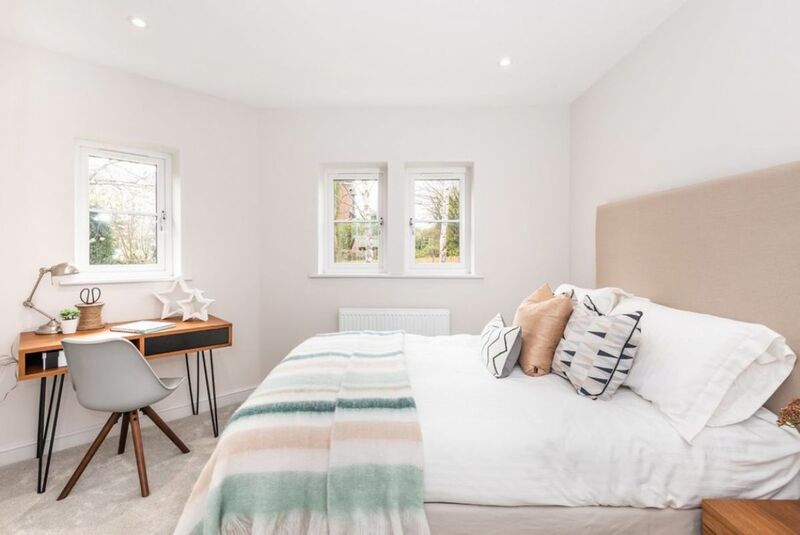 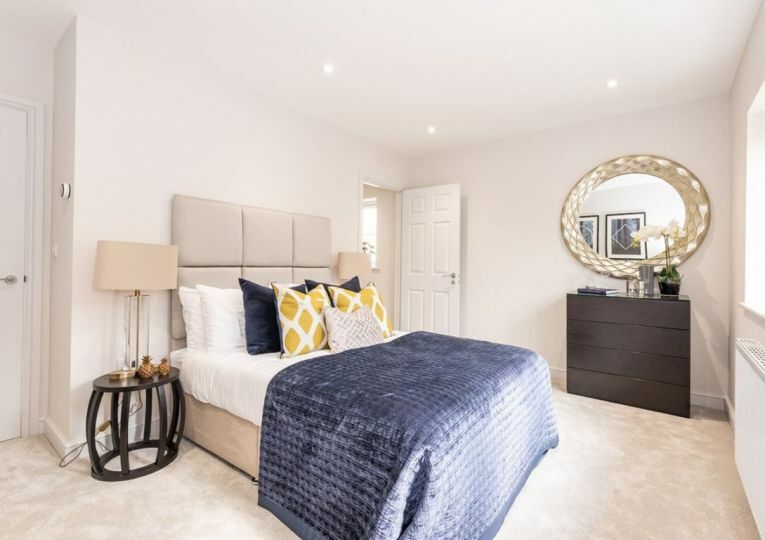 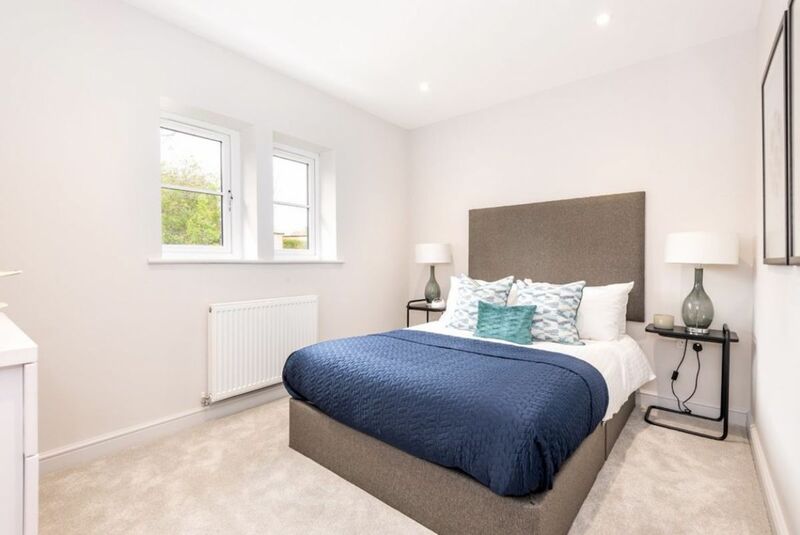 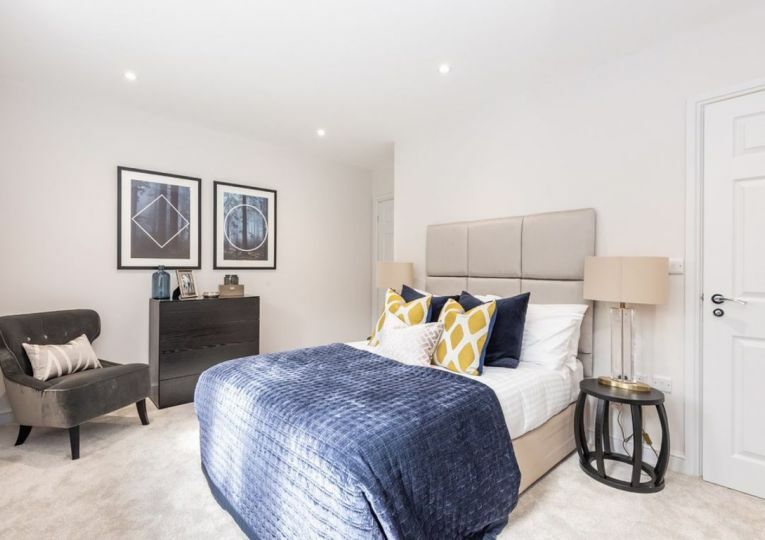 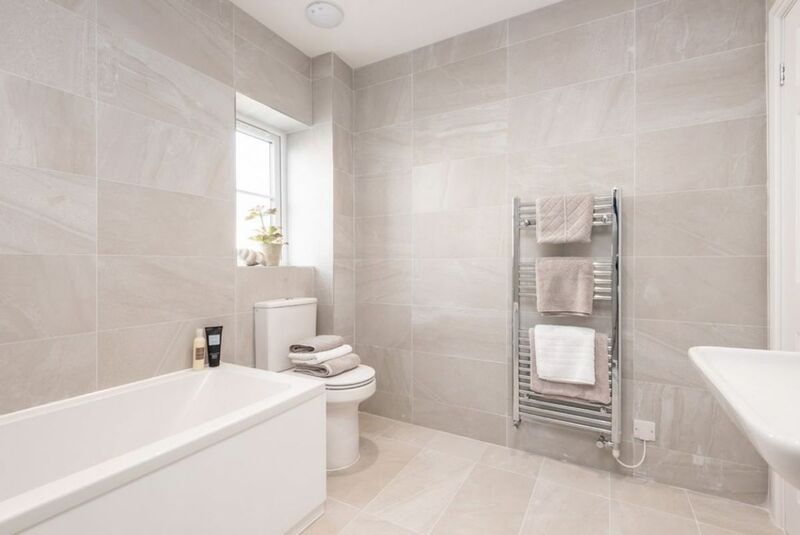 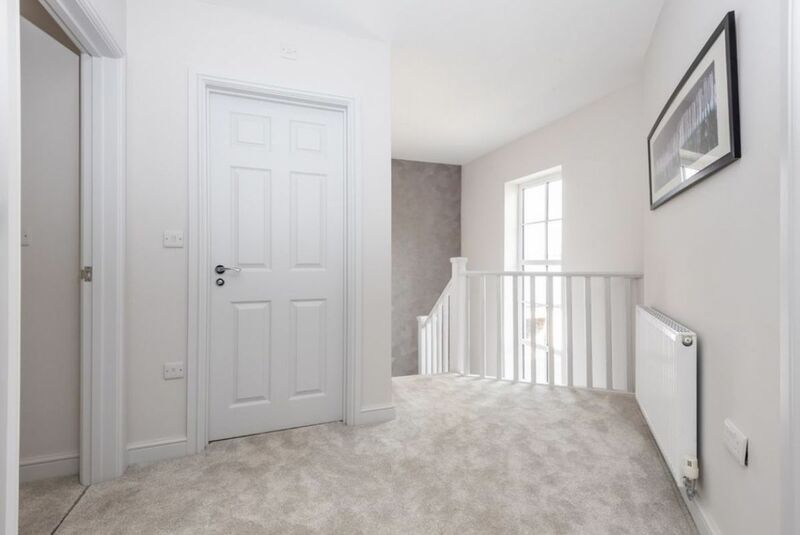 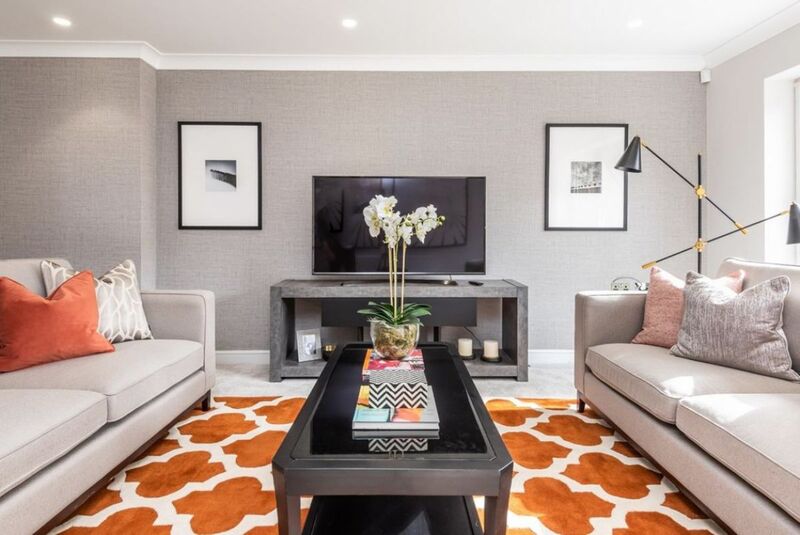 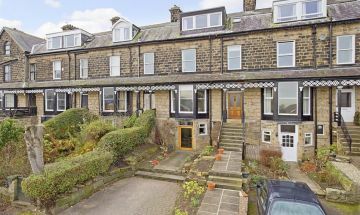 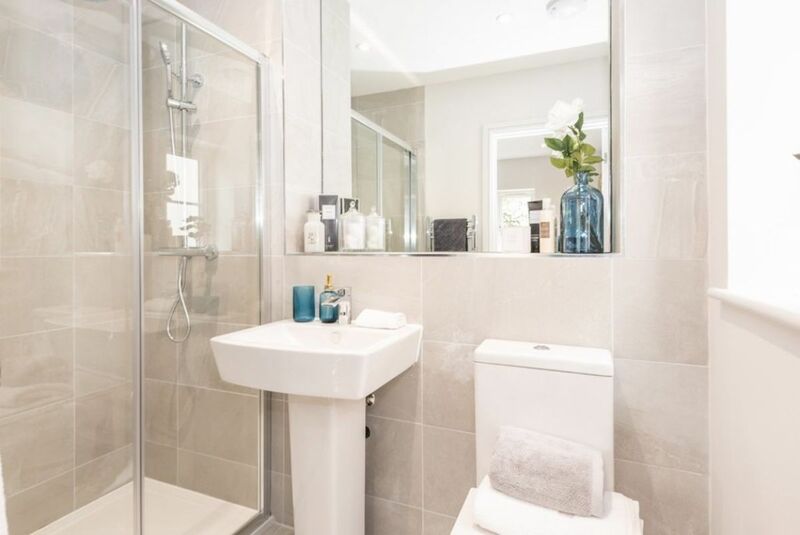 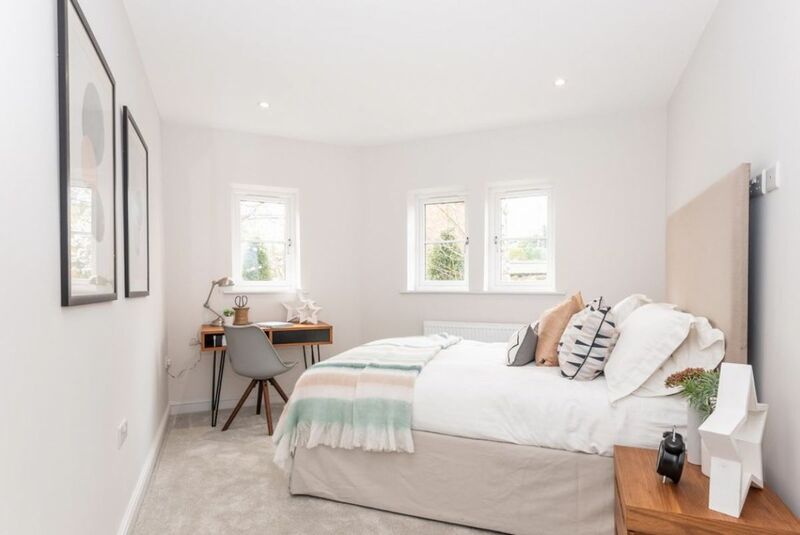 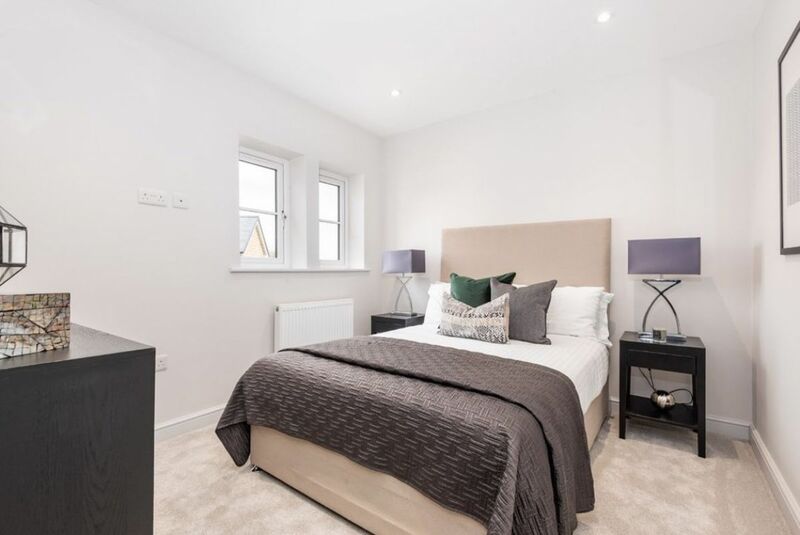 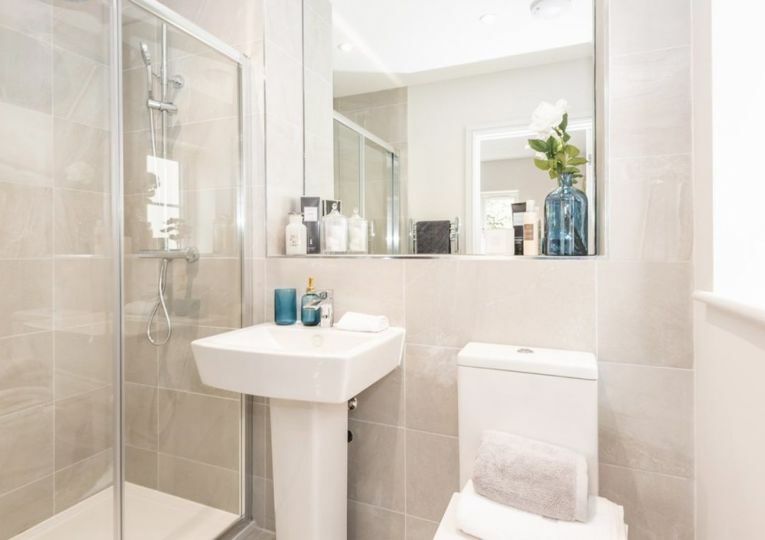 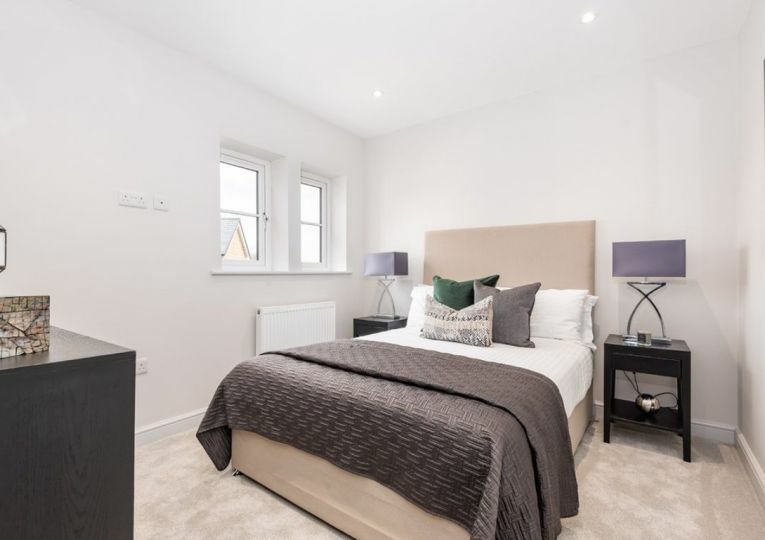 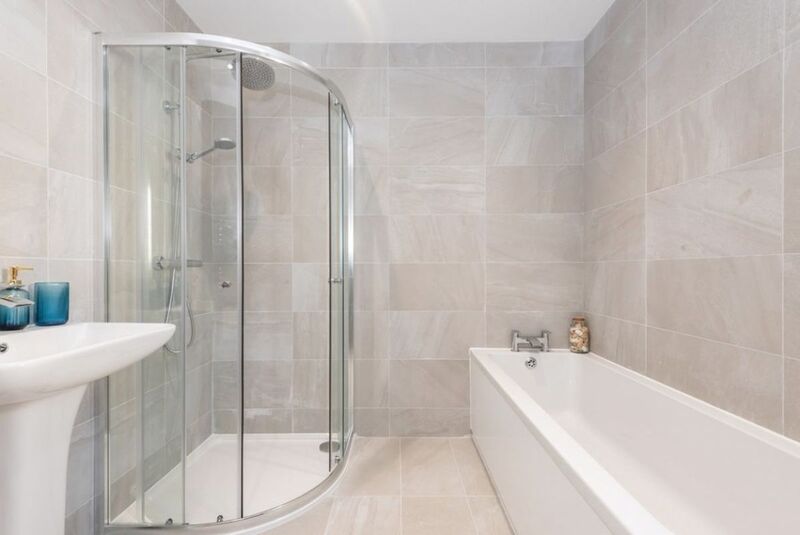 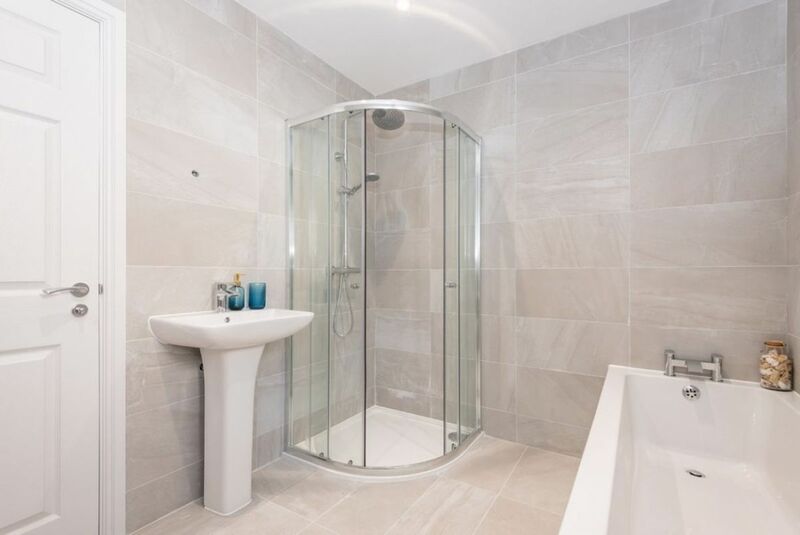 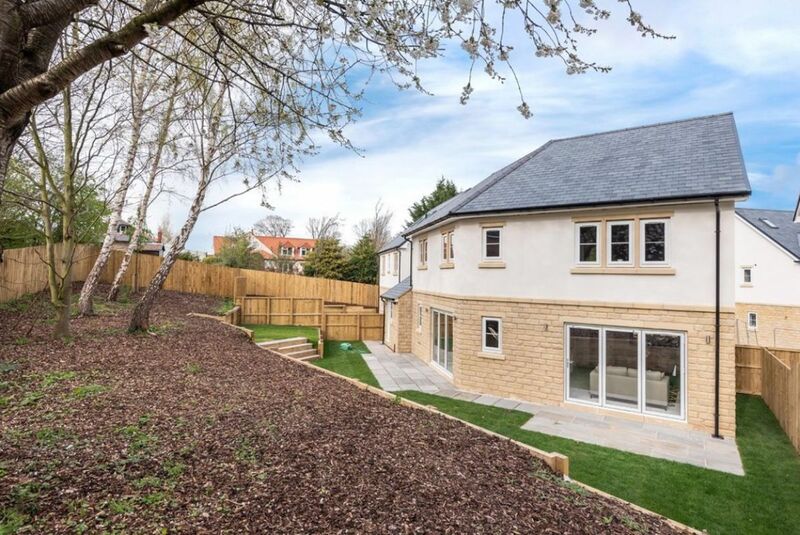 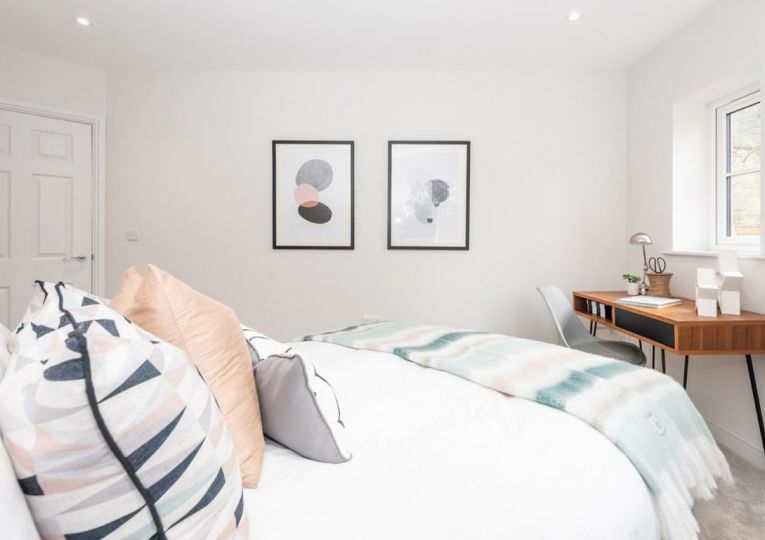 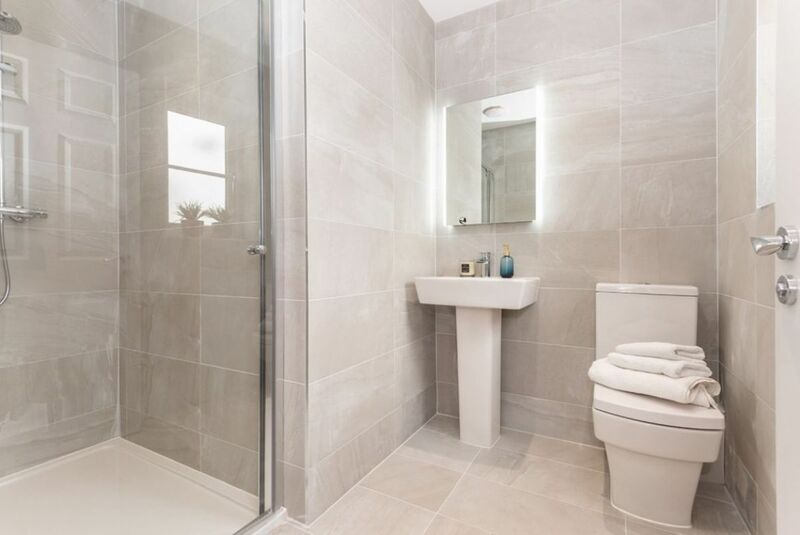 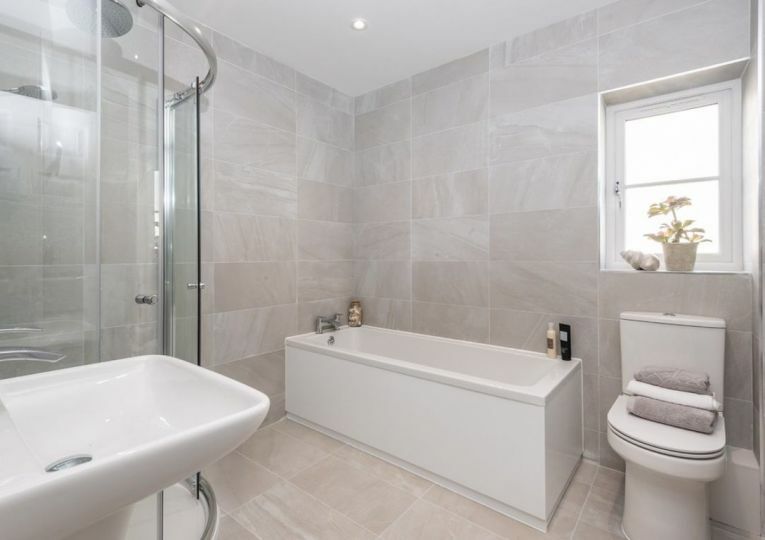 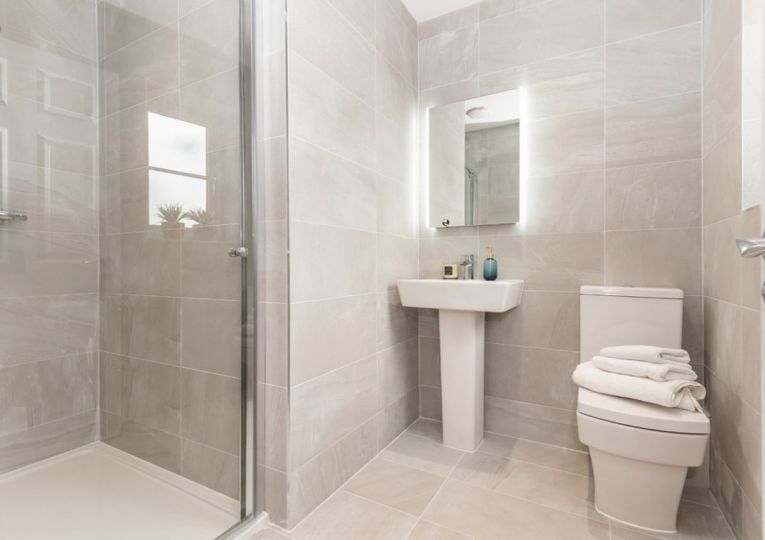 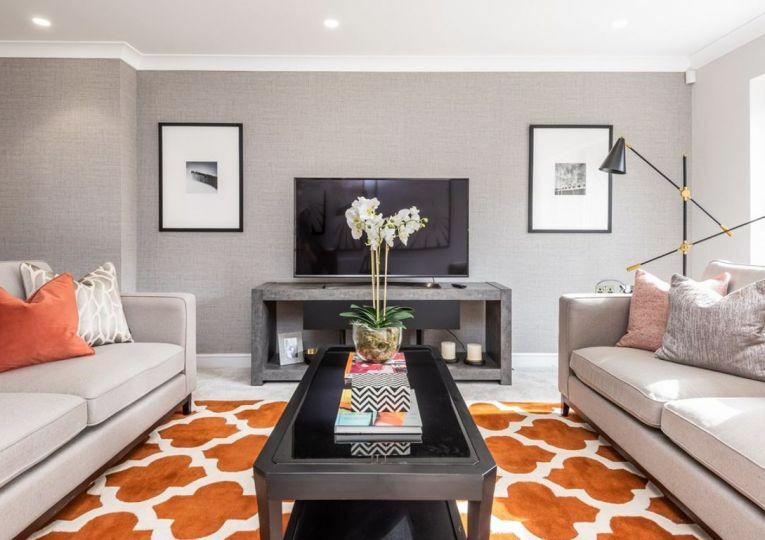 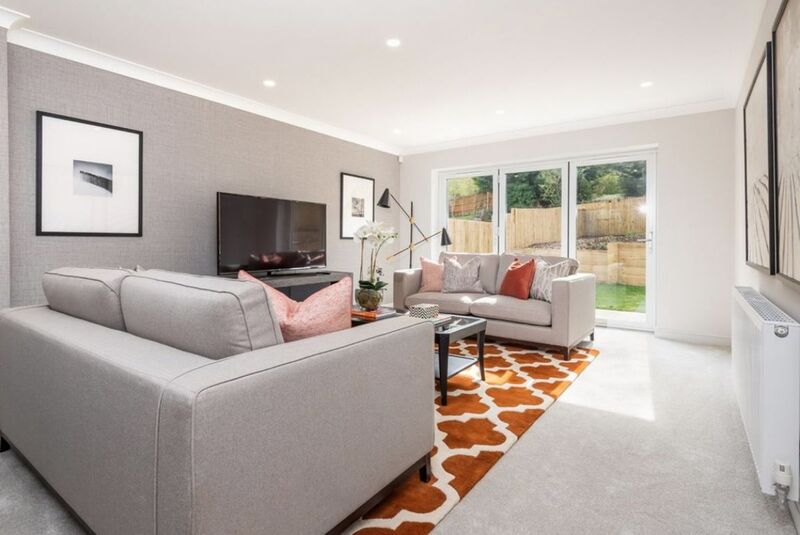 To the first floor we have a great spacious landing with a feature window, four bedrooms, the master with a stylish fully tiled en-suite, with an equally stylish four piece house bathroom servicing the remaining bedrooms. 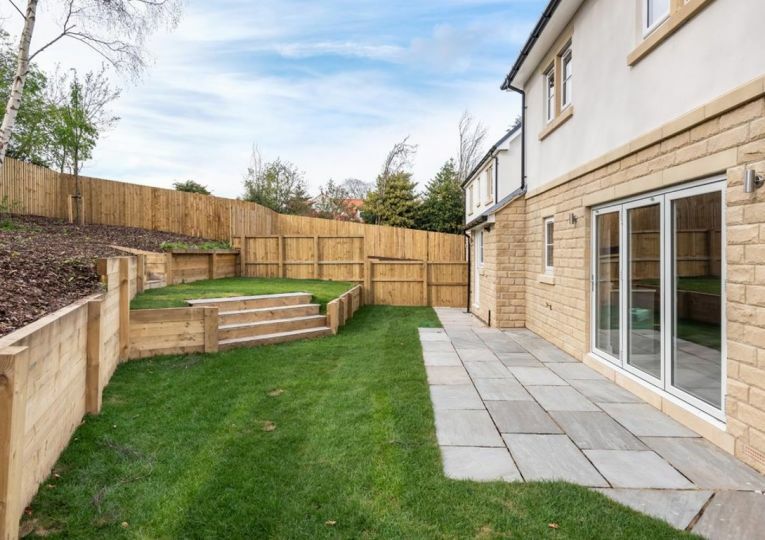 Parking and garage, together with a neat fully enclosed garden complete this fine home. 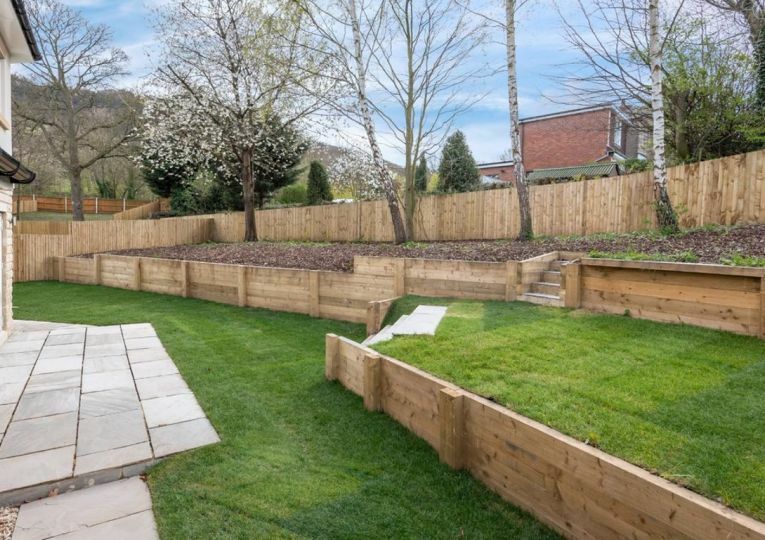 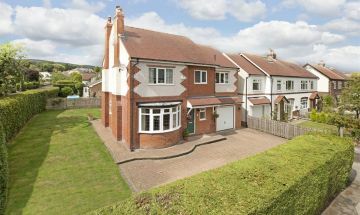 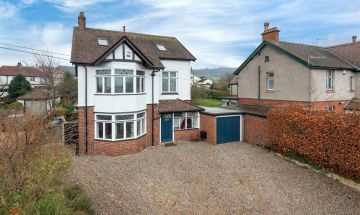 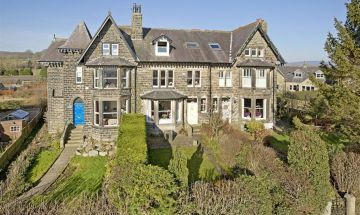 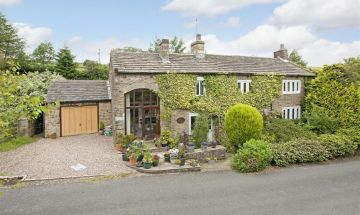 4 Bedroom detached house forming part of this small and exclusive development of only 9 executive designed properties. 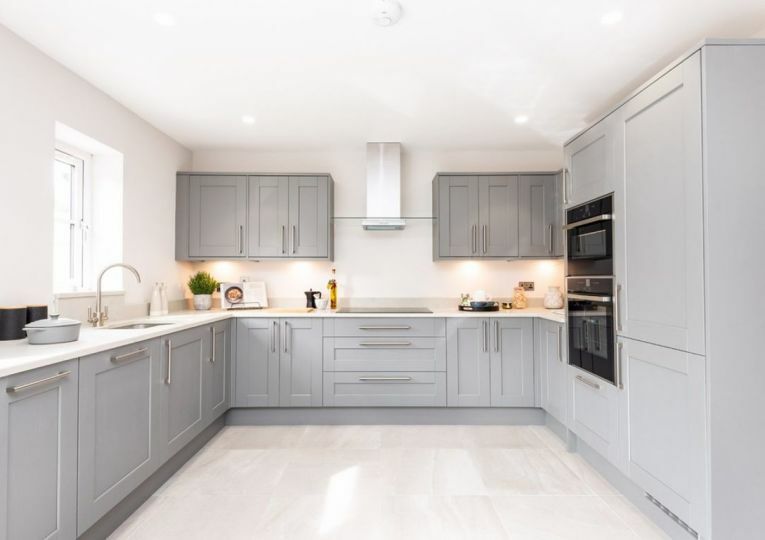 The Lewes, is a fine detached house, offering stunning accommodation over two floors, light and airy throughout and commences with a welcoming entrance hallway with a cloaks w.c off. 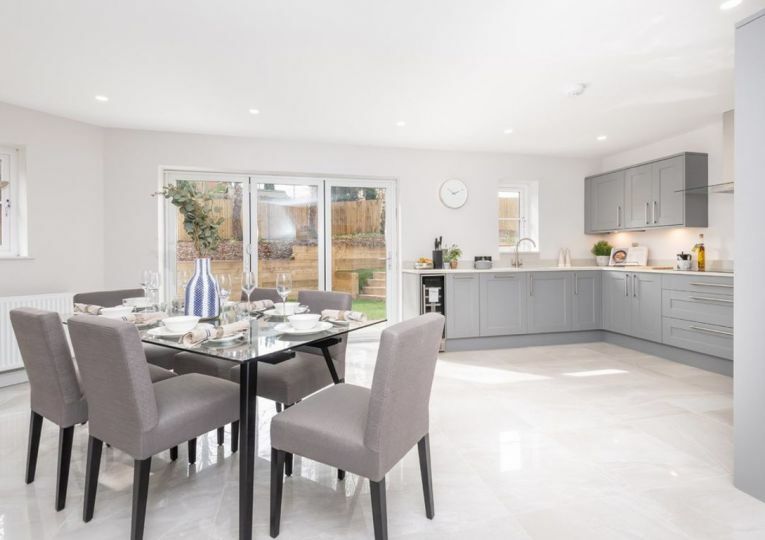 There is a sitting room with Bi-Folding doors to the rear garden and the simply stunning integrated dining kitchen of great proportions and once again with Bi-Folding doors to the rear garden. 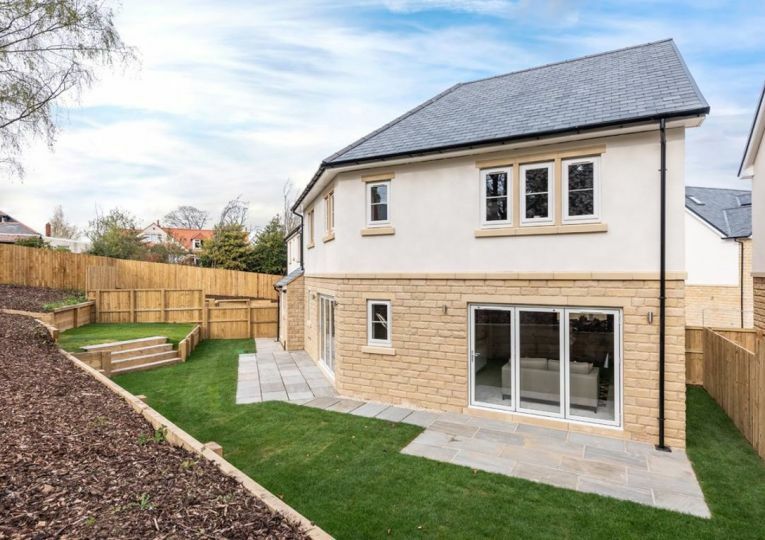 The ground floor is completed with a utility room that adjoins the garage. 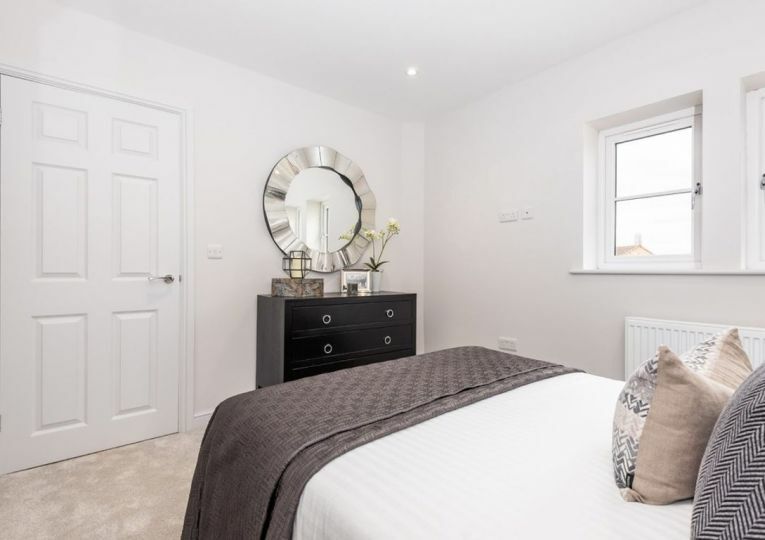 To the first floor we have a great spacious landing with a feature window, four bedrooms, the master with a stylish fully tiled en-suite, with an equally stylish four piece house bathroom servicing the remaining bedrooms. 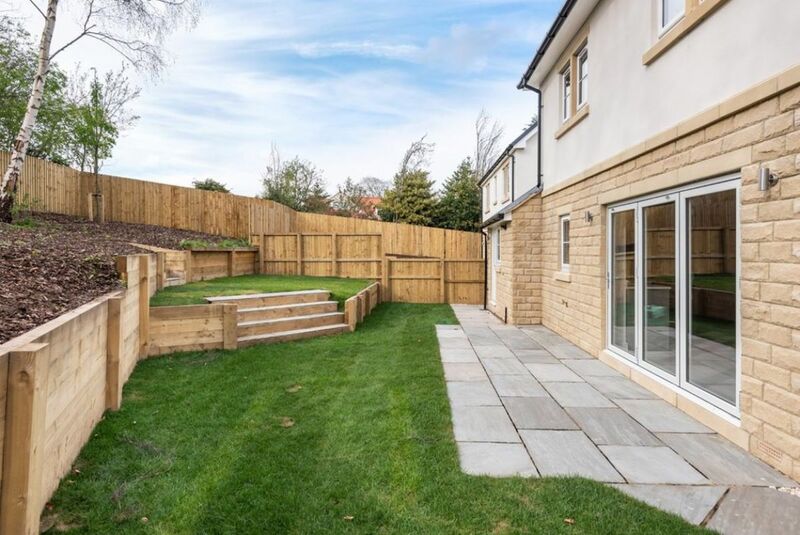 Parking and garage, together with a neat fully enclosed garden complete this fine home. 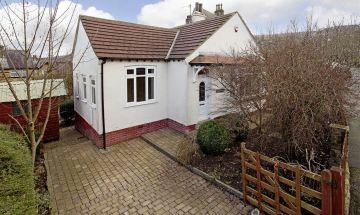 TENURE We are advised that the property is Freehold. 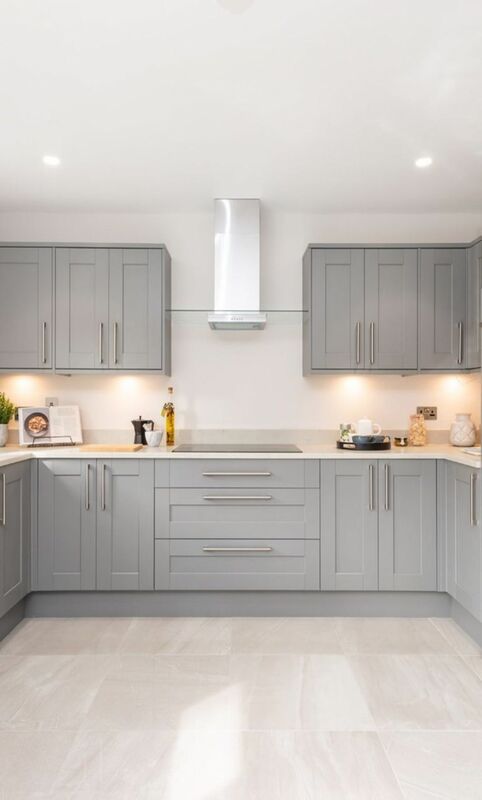 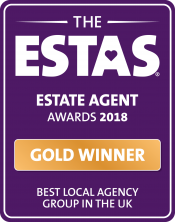 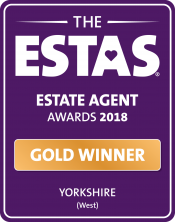 10 YEAR NHBC GUARANTEE We are advised by the seller that the property will be offered with the advantage of having a 10 Year NHBC certificate. 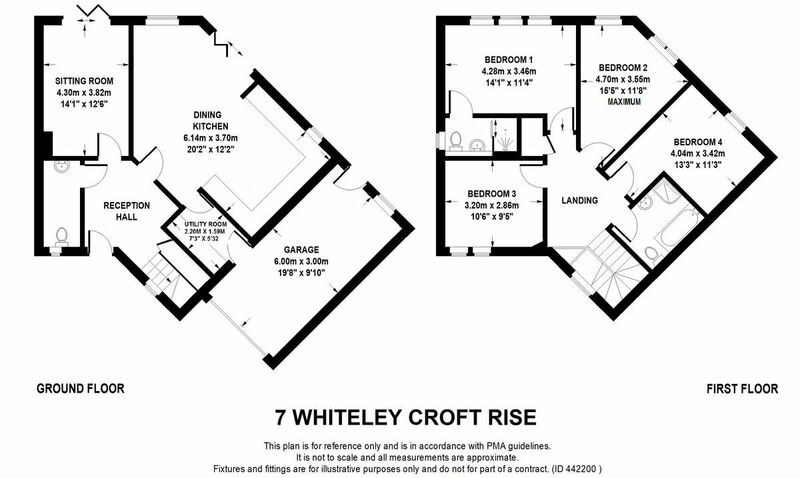 COUNCIL TAX The property will come under Leeds City Council. 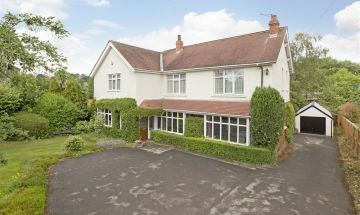 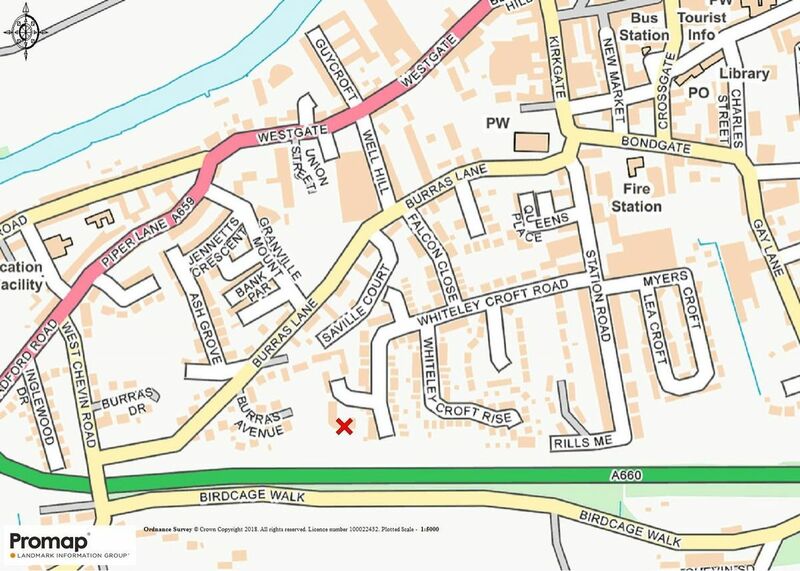 The property is currently awaiting assessment and banding. 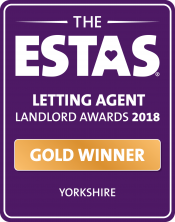 Leeds City Council Tax Band . 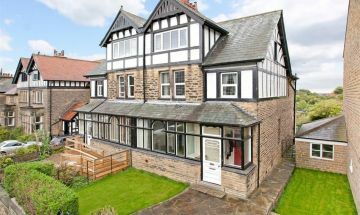 For further details on Leeds Council Tax Charges please visit www.leeds.gov.uk or telephone them on 0113 2224404. 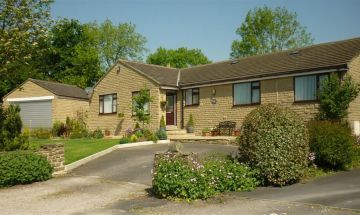 "Exceptionally professional service. 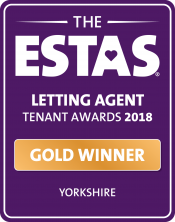 A model for other agents to follow"